Magnesium has been found to be a vital cofactor in over 300 different enzymes in the body. Magnesium is required for digestion, transmission of nerve impulses, cardiac electrical conduction,muscle function, antioxidant enzyme activity, hormonal balance, and maintaining life-sustaining ratios of electrolytes within cells. The ability of magnesium to help dissolve abnormal deposits of calcium is one of the most profoundly anti-aging effects of any mineral. Magnesium is one of the most widespread and important mineral deficiencies. Approximately 74% of Americans consume less than the recommended daily intake of magnesium. Stress, exercise, and ingestion of caffeine, alcohol, and refined sugar increase magnesium excretion. Excessive calcium consumption further aggravates magnesium balance through competitive antagonism for absorption in the small intestine. Dietary fiber and phytates bind ionized magnesium and diminish its absorption. Diuretic and corticosteroid medications as well as laxatives can cause severe magnesium wasting through the kidneys and gastrointestinal tracts. Based on these factors it is estimated that 90-95% of Americans are magnesium deficient. The use and supplementation of inexpensive inorganic magnesium salts is one of the main reasons why magnesium deficiency is so widespread. These salts include oxides, citrates, carbonates, gluconates, sulfates, acetates, and lactates. To be absorbed, these salts must first be ionized, which requires adequate stomach acid. The ionized mineral may then be bound to dietary fiber, phosphates, phytates, and tannins and be rendered unabsorbable. Not only are dietary polyphenols bound, their antioxidant activity is depleted. Medications can also bind to the ionized mineral, resulting in both becoming unavailable. The remaining ionized magnesium then competes for absorption with calcium, zinc, iron, and several other minerals. These antagonistic effects are so great that studies have shown that grains supplemented with magnesium salts actually caused a net depletion of magnesium from the body. The key to effective supplementation is the form in which the magnesium is given. The body has a powerful natural transport mechanism for minerals in which amino acids wrap around the mineral to package it both for absorption and delivery to tissues. This process is known as amino acid chelation, as the amino acids surround the mineral like the pincers of a claw, the term "chela" being the Greek word for claw. The chelation process neutralizes the charge of the magnesium so that it no longer binds to dietary components or medications, preventing the formation of insoluble complexes that reduce absorption. The neutralization of charge also prevents the antagonistic competition for absorption of other minerals. Absorption and tissue delivery of the amino acid chelates is greatly enhanced through active transport mechanisms in the small intestine that actively bind to the amino acids to ferry them across the intestinal lining, into the blood stream, and into the cells. Several B vitamins plus vitamin C are included to give the vitamin cofactors required for optimum metabolism at the same time as the concentrated nutritional elements. These serve to promote efficient use of carbohydrate, protein, and fat as well as provide anti-oxidant and collagen renewing actions to improve the internal environment of arteries and the external environment of the skin. The magnitude of increased absorption with true amino acid chelates is biologically profound. Comparing a magnesium amino acid chelate to magnesium oxide (a typical salt found in many supplements) the amino acid chelate had 9 times the absorption as the oxide. This study compared the use of the single mineral. If another inorganic mineral were given at the same time, such as calcium carbonate, the usual effect would be no reduction of the amino acid chelate, but a further 70-80% reduction of magnesium absorption from the oxide form. The net effect on absorption of chelated to inorganic magnesium, if two or more inorganic minerals are taken, can be 20-30 fold greater absorption or more of the amino acid chelate. Magnesium opposes the cramping effects of calcium on muscle. Calcium causes muscles to contract and magnesium allows muscles to relax. An excess of calcium in relation to magnesium results in chronic muscular contraction. Related symptoms of magnesium deficiency include muscle cramping and spasm, chronic pain, irritability, insomnia, muscle tension, tremors, headaches, and body aches. Magnesium deficiency can cause muscle cramps with the slightest exertion and may cause cramps of the hands and feet at night. Magnesium has a natural calming and balancing effect on the nervous system. The more serious the magnesium deficiency, the more anxious, edgy, and short-tempered the person may become. A person who jumps at the slightest provocation is likely to have a magnesium deficit. Persons who sustain a major magnesium loss are almost always hyperirritable. Adults with magnesium deficiency can develop memory loss, impaired concentration, apathy, and depression. In contrast, children may become hyperactive. Providing well-absorbed magnesium can calm the nerves and improve concentration in many highly stressed and anxious adults and calm hyperactive children. Optimum bone metabolism requires sufficient magnesium. A deficiency of magnesium impairs the release of parathyroid hormone, the glandular secretion required for proper calcium absorption and formation of bones. Magnesium deficiency not only causes bones to be brittle, but the calcium meant for bone can be deposited harmfully. Such undesired placement includes deposition around joints to create painful bone spurs or in blood vessels to accelerate vascular disease. Because of antagonizing magnesium absorption, the use of inorganic calcium supplements to improve bone strength (e.g., carbonate, phosphate, sulfate, oxide, citrate, and gluconate) can worsen the condition the calcium was given to improve! Ingesting well-absorbed magnesium can strengthen the bones and help dissolve deposits of undesirably placed calcium. Ingesting well-absorbed magnesium can strengthen the bones and help dissolve deposits of undesirably placed calcium. Cardiac health is vitally dependent on magnesium. Deficiency of magnesium may reduce relaxation of the heart and predispose to diastolic hypertension. Deficiency may increase contraction of arterial muscle that can contribute to systolic hypertension, and in more severe cases to spasm of the arteries that can cause heart attacks. Serious and even life threatening abnormal heart rhythms have resulted from magnesium deficiency, as magnesium is required for normal electrical conduction in the heart. Because cardiac medications such as diuretics can cause severe magnesium depletion and aggravate these risks, it is especially important to supply adequate magnesium in this setting. Sufficient delivery of bioavailable magnesium for persons with cardiac conditions may be life saving. Seizures, muscular rigidity, and shock. Pre-eclampsia in expectant mothers. This condition of overactive reflexes and elevated blood pressure can progress to life threatening eclampsia (shock, seizures, and multi-organ failure) if not successfully treated with magnesium. PMS. Rapid relief has been reported following magnesium replacement. 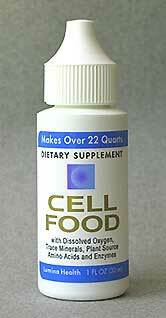 Perhaps the most profoundly important role for magnesium is cellular energy production. There are three basic forms of energy - immediate, rapid burst, and sustained endurance. Immediate energy comes from stores of ATP, the primary energy molecule in the body. These stores are small and are consumed within a few minutes unless replenished. Creatine phosphate is a reserve form of energy in muscle that can replenish ATP for immediate energy. This process is magnesium dependent. Rapid burst energy is exemplified by anaerobic activities such as weight lifting and sprinting. Anaerobic muscle exertion requires high levels of ATP quickly and for short bursts. Anaerobic metabolism uses glucose as fuel to produce two molecules of ATP per molecule of glucose. Endurance activities such as hiking, biking, or swimming uses the far more efficient process of aerobic metabolism that uses oxygen to completely combust glucose, producing 36 molecules of ATP for every molecule of glucose. Magnesium is required for several key enzymes in both anaerobic burst and aerobic endurance energy production. Without adequate magnesium, all forms of energy production - immediate, burst, and sustained, are impaired. If glucose is the fuel, magnesium is the spark plug without which energy is not effectively produced. Fatigue, poor energy levels, and reduced endurance are all symptoms of magnesium deficiency. Scientific studies indicate the magnitude of energy and endurance effects offered through magnesium supplementation. A study of swimming endurance in rats divided the animals into three groups - placebo control, inorganic magnesium salt, and amino acid chelated magnesium. The control animals lasted only 10 minutes, those receiving the inorganic magnesium salt swam for 13 minutes, and those receiving the amino acid chelated magnesium endured substantially longer at 48 minutes. This experiment underscored the enormous importance of using the much more bioavailable amino acid chelated magnesium to derive the full benefits of greater energy and endurance. A double blind human clinical study explored the effects of chelated magnesium in persons with coronary artery disease and chest pain with exertion. The subjects receiving the amino acid chelated magnesium sustained 25% greater exertion on exercise testing compared to the placebo control group. In addition, the placebo control group required 29% more nitroglycerin for relief of episodes of chest pain. For many persons with fatigue, low energy, or poor endurance, taking high quality magnesium may provide a welcome and rapid boost in energy and performance. To help reverse the tide of widespread and debilitating magnesium deficiency, an innovative formula of 100% fully reacted amino acid chelates has been created called MagSpectrum®. Not all products that claim to be chelates are fully reacted to give the full benefits, whereas all the amino acid chelates in MagSpectrum® are rigorously tested to insure their quality. MagSpectrum® provides not one but 5 different kinds of fully reacted amino acid chelates to provide a wide range of benefits of restoring vital magnesium to all the parts of the body. The next type of chelate uses L-lysine and L-glycine known as a chelazome. This is the specific form that was used for cardiac patients to improve their exercise endurance and reduce their need for cardiac medication. The third type, Creatine Magna Power, combines creatine with magnesium to increase transport not only of magnesium but also of creatine through the GI tract. This form especially targets to muscle to improve muscular performance. Magnesium aspartate, the fourth type of chelate, uses aspartic acid as the chelating agent. This form may especially improve the function of the brain and nervous system. The fifth type uses the amino acids L-glutamine and L-glycine. This version particularly supports the immune system, muscle, and brain performance. MagSpectrum® thus provides a full range of generally and specifically targeted amino acid chelates to restore life and vitality-giving magnesium throughout the body. In persons who have been deficient for a long time, overall energy, well-being, and performance can be improved significantly within a few weeks. MagSpectrum® is further enhanced with a laser process that can increase uniformity of shape and give an even greater boost to bioavailability. Are There Tests to Prove Magnesium Deficiency? Although "total serum (blood) magnesium testing" and "red and white blood cell magnesium testing" can be used, these tests are not completely accurate as they do not measure the amount of magnesium held in other parts of the body. The most important consideration is that significant depletion in the cell may be present even if the blood test gives a level in the normal range. Magnesium depletion in the cell must be severe before blood tests will show a reduced magnesium level. However, even with this criterion, studies have still shown up to a 65% prevalence of magnesium deficiency. The option of a "blood ionized magnesium test" involves a very refined procedure and may be considered the most accurate and reliable blood test available. Magnesium ions constitute the physiologically active fraction on magnesium in the body - they are not attached to other substances and are free to join in biochemical body processes. With the blood ionized magnesium test, ion-selective electrodes are used to directly measure the levels of magnesium ions in whole blood, plasma and serum. Using intracellular testing, typically of cells swabbed from the inside of the mouth, has shown magnesium deficiency in over 90% of persons tested. This kind of testing is known as "the buccal cell smear test". The total mineral levels in the buccal cells correlate with the results from white blood cells and red blood cells. Analysis is performed using scanning electron microscopy (SEM) and elemental X-ray analysis (EXA). Similarly to the red and white blood cell magnesium testing, the only downfall of buccal smear testing is that is doesn't measure active, free magnesium ions. For many people, including those who do not have easy access to the ionized blood test or even the buccal cell smeartest, it will be far more practical to observe for any of the many symptoms of magnesium depletion and observe if improvement occurs with appropriate supplementation. Because of the widespread deficiency of magnesium due to inadequate intake, stress and lifestyle factors, and even medications, magnesium supplementation of amino acid chelates can be strongly recommended for almost everyone. To receive the recommended daily allowance of 400mg of magnesium, it is advised to take 4 capsules of MagSpectrum® daily, preferably divided into 2 capsules twice daily. For children up to 8 years old, one capsule per day is advised. For children aged 9-13, 2-3 capsules per day may be taken, preferably divided into 1-2 capsules in the morning and one capsule in the evening. Additionally, the fastest method to track the progress of re-mineralizing the body, and the only highly reliable one for magnesium, is intracellular mineral testing. This is done from a swab of the lining of the mouth. Magnesium can cause loose stools and even diarrhea, particularly if taken as inorganic salts. The chelates are much less prone to this effect, but it is still prudent to divide your intake if possible to do so. As magnesium can relax muscles and balance the nervous system, if any adverse effects whatsoever are suspected, it is essential to hold the use of the supplement and contact your physician. Suggested use: Take 2 capsules twice daily with meals or before bedtime.